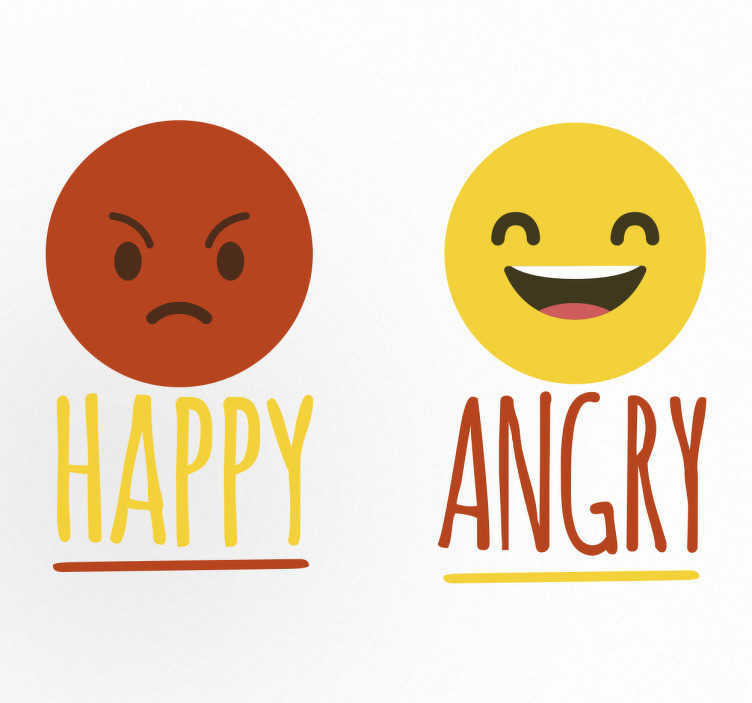 A wall sticker with two emoji's, one happy face and one angry. This is a nice emoji sticker for those who quickly lose their cool. The sticker can be applied in a school, office or at home. The colour of the text is the same colour of the opposite emoji face. We use a special adhesive film that makes no mess and is easy to apply to any flat surface such as a window, wall or door.